Lieberman's and New York Graphic Society are pleased to announce that as of August 18, 2015, Lieberman's will take over fulfillment of all wholesale orders for New York Graphic Society. While the majority of the New York Graphic Society catalog is already available through Lieberman's, we ask for your patience and understanding as we shift the remaining items over to Lieberman's facility in New Jersey. If you would like to place an order, please visit our website at www.liebermans.net or call us at 1-800-221-1032. If you are not currently a Lieberman's customer, please be sure to contact us at your earliest convenience to gain access to your new Lieberman's account. We can be reached via phone at 1-800-221-1032 or via email at info@liebermans.net. As part of this transition, Lieberman's has recently redesigned their entire website to provide you with the tools you need to find, finish, organize and order the products you need. Lieberman's has created restructured and merchandised its categories to better suit your needs. We have also redesigned our global navigation to make it easier for you to find the subject, style, room, artist, color, venue or product type that you're looking for. Simply click on one of the options at the top of our website to get started. Once you've found a category that you're interested in, you can use our drop downs to navigate to subcategories or use one of the many different filtering options to narrow down your results. You can filter by product type, style/subject, color, shape, size or collection. Lieberman's is proud to introduce three new collections, New York Graphic Society, Value Line and Clearance. 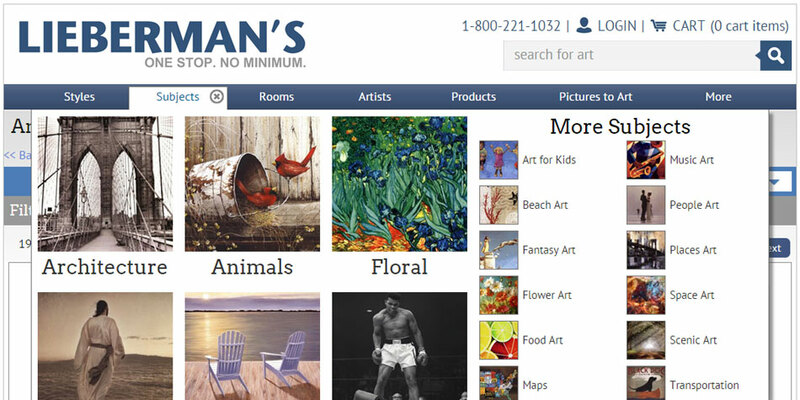 Lieberman's strives to offer you the highest quality, variety and best pricing on art prints. As our product line continues to grow, new products will be added to these collections daily. Be sure to check back regularly for pricing and availability updates by visiting www.Liebermans.net. As we continue to transition New York Graphic Society products to our fulfillment warehouse in New Jersey, more prints will become available daily. This New York Graphic Society logo will appear next to all New York Graphic Society products. Results on all product list pages can be filtered to only include these products. Lieberman's is proud to introduce our new value line collection. This collection includes over 10,000 prints that we have in bulk quantity and are ready to ship. This value line logo will appear next to all value line products. 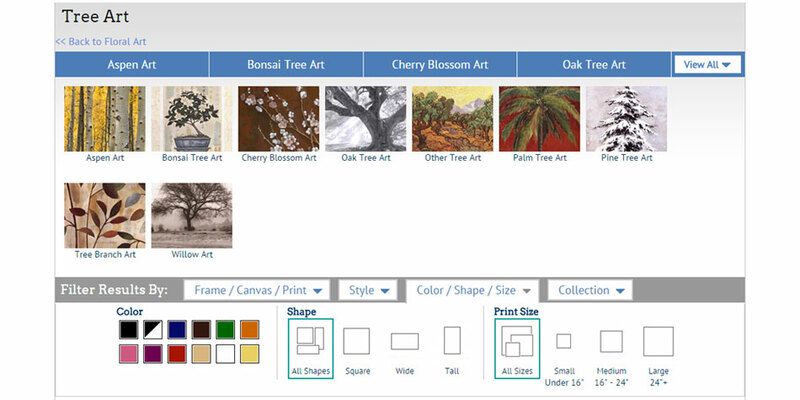 Results on all product list pages can be filtered to only include value line products. Please login to check on your new discounted pricing. Lieberman's is proud to introduce our new clearance collection. This collection includes a wide variety of prints that are ready to ship at highly discounted prices. This clearance logo will appear next to all clearance products. Results on all product list pages can be filtered to only include clearance. Please login to check on your new clearance pricing. To learn more about this change, fulfillment options, customer care, pricing, website features and functionality now available to you with Lieberman's, please visit: www.Liebermans.net/nygs-update.aspx If you are not currently a Lieberman's customer, please be sure to contact us at your earliest convenience for access to your new Lieberman's account at 1-800-221-1032 or via email at info@liebermans.net. We are sorry for any inconvenience this may cause and look forward to a serving your art print needs.